From the time Roger Parks started building his first boat back in 1967 at age 13, he was taught to look for the best materials available and combine them with the best process and practices. This ensured each boat was built just like he'd want his own personal boat constructed. Those principals haven't changed over the years as Blue Wave has evolved its product into some of the best built, best performing, and best-looking boats available today. Each boat design starts with a concept in mind of achieving specific goals for our end customers. Whether it's specific to getting a customer into extremely shallow water or maybe give up some shallow water ability in lieu of more fuel economy or top end speed. We take this concept and work toward a design to achieve these goals. We combine old fashion ingenuity with cutting edge design tools to come up with some of the most efficient and breathtaking boats on the market. Each boat design starts with a concept in mind of achieving specific goals for our end customers. Whether it's specific to getting a customer into extremely shallow water or maybe give up some shallow water ability in lieu of more fuel economy or top end speed. We take this concept and work toward a design to achieve these goals. We combine old fashion ingenuity with cutting edge design tools to come up with some of the most efficient and breathtaking boats on the market. Understanding the build process and materials used is just part of the reason why Blue Wave Rules the Bay. Our computer generated designs precision cut using CNC drive multi axis routers to ensure extremely close tolerances and match tooling. 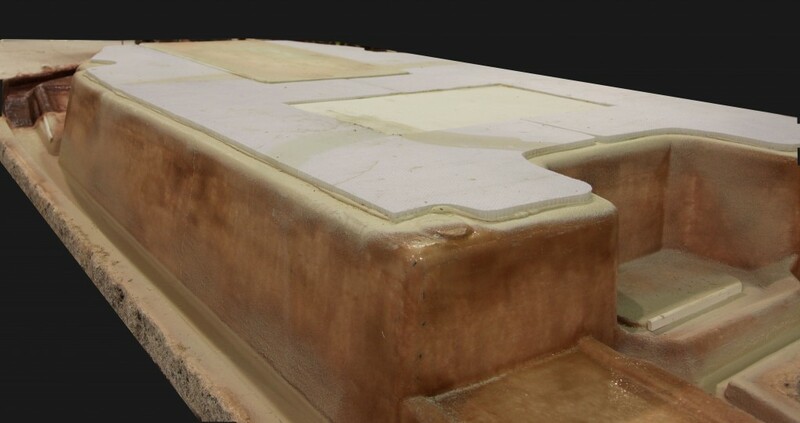 We build our molds with special tooling resins and high strength, heat resistant resins, and fiberglass and then reinforce the entire surface of the molds with steel beams to ensure each mold holds it's exact shape during the life of the mold. 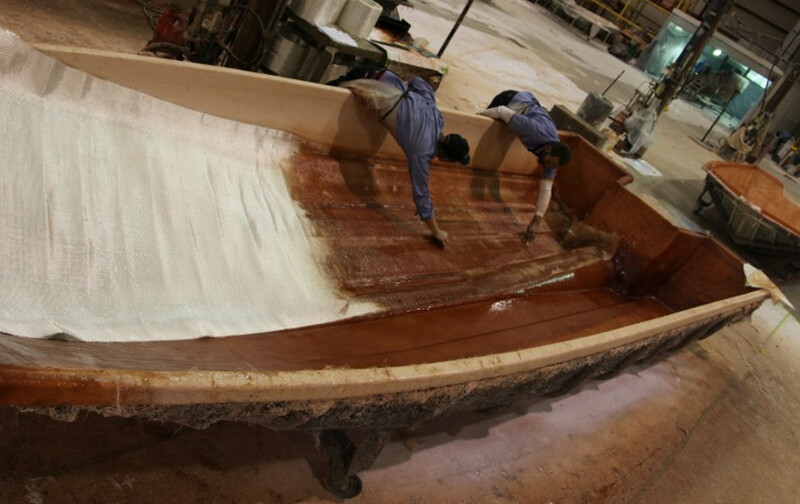 Once these molds enter production we use only the best materials in all our boats. We start with a marine grade HD gel coat that is some of the best in the industry in physical properties and final color quality and depth. We have over 40 Q/C checks on each boat to make sure each stage achieves the desired tolerances and specs. Once inspected the boat hull will move to the lamination stage where we start the multi layer 100% hand laid process to build each hull to the highest strength to weight ratio capable. Run the length of the boat and provide double the strength and double the bonding surface. Lots of companies market their boats to be "Hand Laid" but that can mean that they chop 99% of the boat and only hand lay certain small areas. 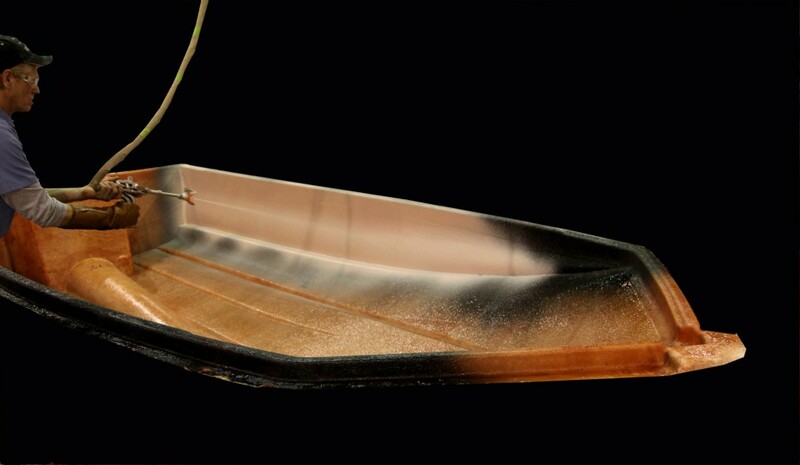 Our 100% hand laid process in which we also squeegee out all excess resins (the same process some race boats are built with) gives you more bang for your buck by getting all the strength without the excess weight that adds no value to a shallow water fisherman. We use high strength fiberglass ranging from Chopped strand mat, 24oz woven rovens, + - 45 unilateral combo mats and others along with top quality resins. Whether you're using your boat for fresh or saltwater applications the electrical components are extremely important. They're the veins that carry the lifeblood to your boat's heart. We've also chosen the highest quality in electrical systems, hardware and fasteners to complement this process while ensuring your family’s safety and providing a boat that’s reliability is unquestioned. These type of electrical connectors are for critical applications where failure is not an option. Their superb quality ensures the highest standard of marine environment resistant. Blue Wave has chosen the DT series which are rated to withstand up to 3 feet submersion, 100 cycles of engagement and disengagement and maintain an electrical current while under 20 G’s of vibration. Lighting is important for safe navigation throughout our waterways while also helping find that favorite bait at night. LED lighting can draw up to 90% less energy than standard bulbs. This means more time on the water without worrying about getting home safely. LED lights are also extremely durable and built with sturdy components that are highly rugged and withstand the toughest of conditions. There is a reason why the marine and aviation industry use push to activate reset breakers and it is very simple….safety. Blue Wave has chosen to side with the aviation industry in the fact that reset breakers offer a unique combination of resistance in harsh environments while offering user-friendly operation. From an idea to finished product, Blue Wave prides themselves on offering the best boat and back it with the best warranties. When you look at our boats we want you to see the best designs, materials, and craftsmanship available and have confidence that we don't cut corners anywhere throughout the process. Even in the areas that you cannot see once the boat is completed. 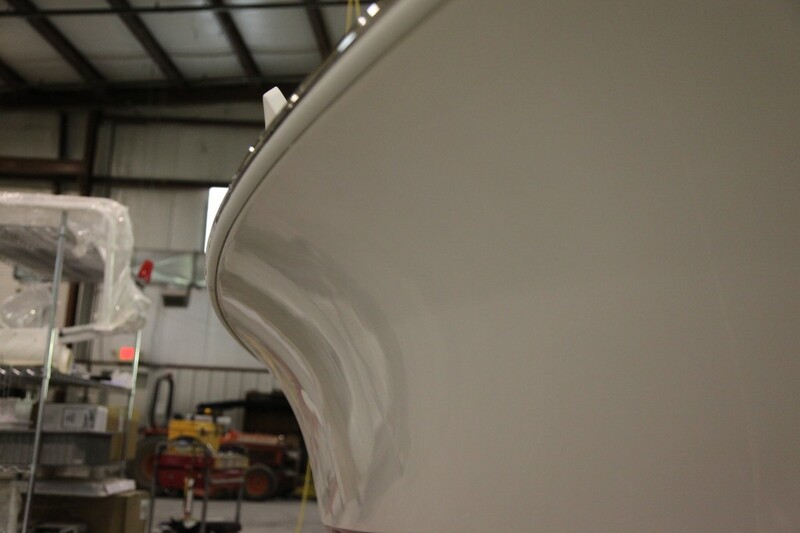 We invite you to compare our boats top to bottom and you'll see for yourself the quality we put into every boat.